Uplifting event of music, poetry, video and reflection in coffeehouse format followed by reception and Thank-You-Note-athon. Features vocalist Ronni Weiss and poet Joan Bauer. Inspirational, non-religious focus. “Give what makes you feel good” donation for Literacy Pittsburgh. Co-sponsored by Litzinger Career Consulting. Details/Register: www.WorldGratitudeDayPittsburgh.com. 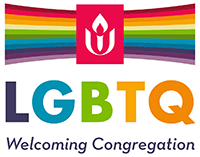 Held at First Unitarian Church of Pittsburgh, 605 Morewood Ave, Shadyside.